I have a grandson by the name of Finn. Last year when we were down in Wanaka, the full moon rose over the hills, and we taught the wee man to say “big moon”. He got really enthusiastic about it, and still repeats it to this day. 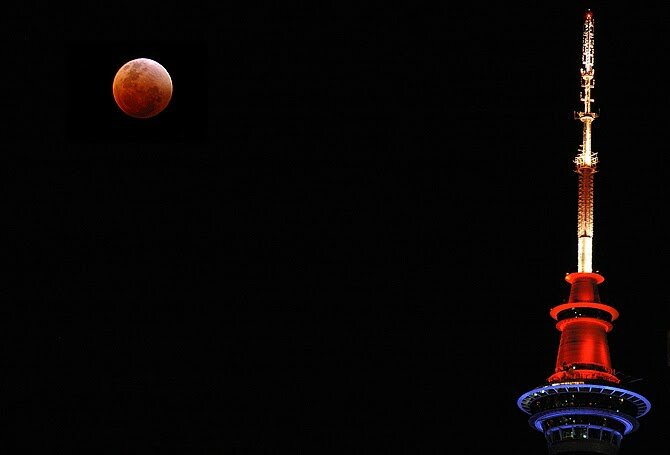 Last night there was a fat moon hanging alongside the Auckland skytower, full of portent and potential. A pity about the clouds, but tonight we hope to nail it if the sky clears. Of course we can always add the moon later with a bit of movie magic, but it would be great to shoot it in the raw. The momentum is mounting and so is the workload. We’re on track but getting a feature film up with 3 weeks pre-prod is a big ask. Fortunately we’ve got great people working in the production office, giving their all. And the moon shines on.